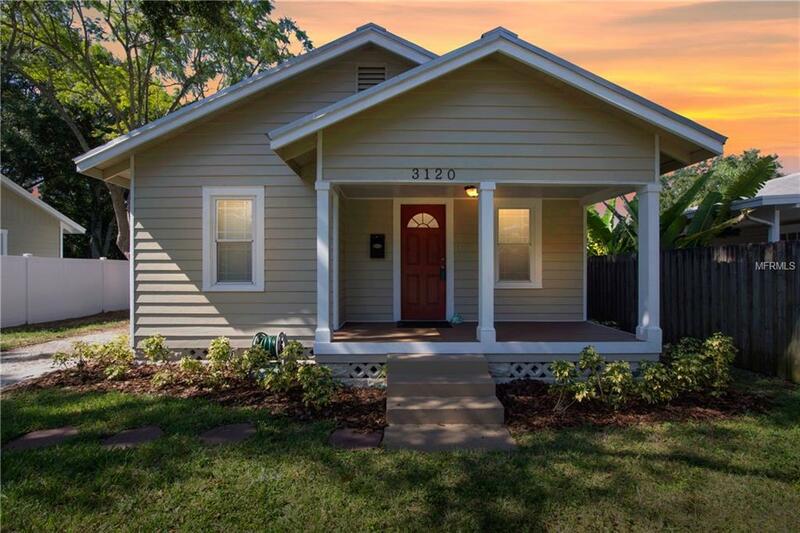 This tastefully updated, Magnolia Heights, craftsman-style home exudes the striking charm of its era while boasting features to include; spacious open floor plan, covered front porch w/tongue & groove ceilings, expansive backyard w/privacy fence, hardwood floors, ~300 sq. ft. utility shed, maple wood cabinets, double sink w/tile backsplash, formal dining room, metal roof, newer windows, 5 1/4 inch baseboards, decorative lighting/ceiling fans, wood blinds, tile in wet areas, six panel colonial doors, pedestal sink, closet organizer systems, attic access, irrigation system and more. Live central to downtown, interstate, shopping, parks, restaurants, playground, boat ramp, museums, Tropicana Field, hospitals and schools. Start Living Today!